The front, and insides (note prop rod!) of the 8032. 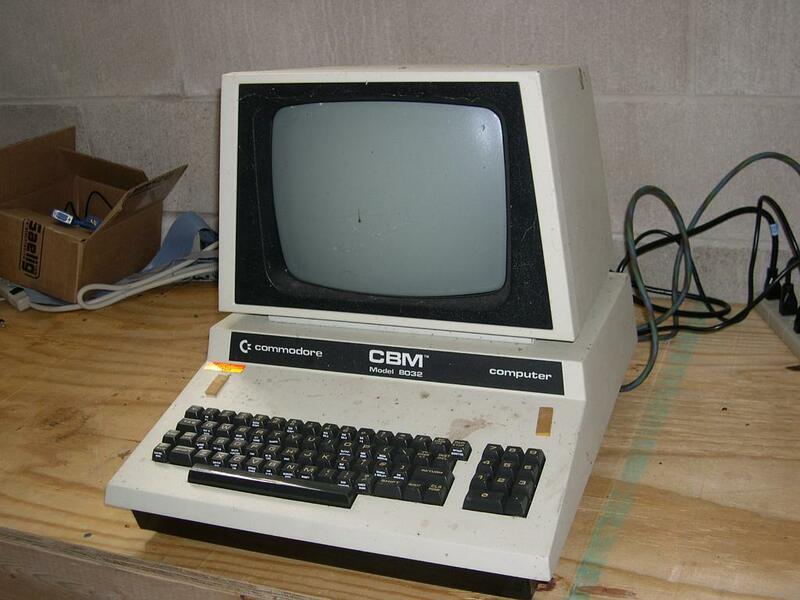 Produced in 1980/1981 the CBM 8032 was Commodore's first foray into business computing. Their line of PET computers, built for home users, was both powerful and inexpensive, and already selling reasonably well. The new machines were labelled CBM, rather than PET, possibly to separate them as a "Business" machine, rather than a home machine, and had some significant differences from the earlier PET line. The new Business machines had an 80 column display, instead of 40 columns, a boon for word processing and other business applications. As well the horrendous "chiclet" calculator-style keyboard of the PETs was replaced for a more standard keyboard, with a complete numeric keypad. The CBMs also could have up to 96kB of memory, unlike the PETs 32kB. An upgrade card was available for the 8032, but the later 8096 had the full 96kB built in. I have to say, the flip-lid design of what is a particularly sturdy case is both tech friendly as well as highly amusing, particularly the prop-rod used to stay the top of the case. The CBM has the standard PET IEEE-488 port, USER and EXPANSION ports, and datasette ports. This allowed the business to hook up the CBM disk drive cabinet, with a pair of 5.25" floppy drives for mass storage, although it's quite possible some businesses went for the cheaper option of storing data on cassettes. 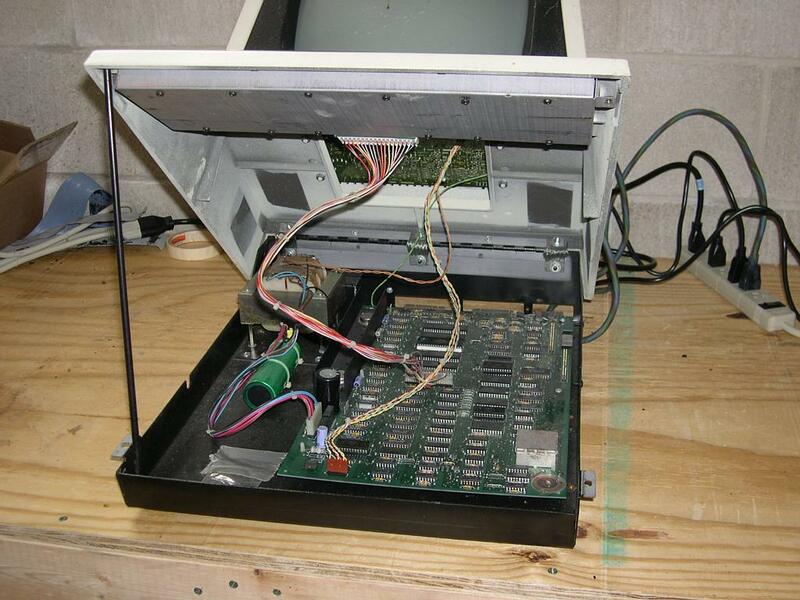 I can't imagine doing it myself, but then again, I was only two when this computer came out.